* Missed out at an Auction recently? * Nervous about getting emotionally involved on the day? 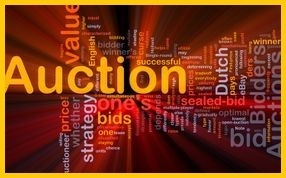 * Unsure of bidding practices or how to gain the upper hand? * Concerned about being harassed by agents and their tricks of the trade? * Going to be out of town on Auction Day and need someone to bid on your behalf? Auction Day can be an intimidating and complex process for the uninitiated, and sometimes even the most experienced property buyers. At MARQUEE Property Hub we are expert bidders and negotiators and can assess the situation ‘on the run’ to gain an advantage. We know all the tactics and tricks of the trade used to deceive or persuade buyers into paying too much. As independent and impartial buyers’ agents we avoid the emotion of the moment and go to the auction with the full knowledge of the property’s current market value and your maximum purchase price. Having MARQUEE Property Hub represent you at auction will save you time, money and stress, and you will receive expert advice along the way. In conjunction with you, we devise an Auction Day strategy to provide the best possible opportunity to secure the property on your behalf and we leave nothing to chance. Our fees for this service are split between an Engagement Fee of $495.00 (GST Inclusive), which covers our attendance and authority to bid at the Auction, and a Success Fee of $495.00 (GST Inclusive) which is only payable once we have been successful in securing the property for you. You can be assured that with our Auction Day experience and expertise we will save you far in excess of these costs! For a property that is passed in at auction and we are successful in negotiating a sale after, we do not charge any additional fees. If the scenario arises that we are unable to secure the property for you (either on the day of the Auction or in negotiations afterward), a Success Fee is not charged (obviously), and we are happy to roll over your initial Engagement Fee into either the Full Search Service or the Inspect, Evaluate, Negotiate and Secure service.